And don’t forget the CUDA SDK update: NVIDIA CUDA SDK 2.2.1 released, Minor updates. 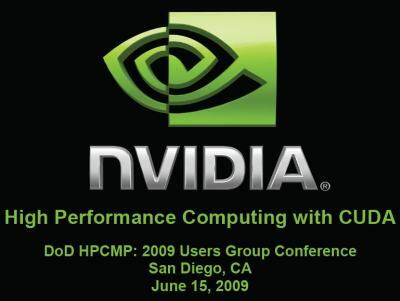 More news about NVIDIA CUDA ? Just follow this link: NVIDIA CUDA @ Geeks3D.com. I’ve posted the slides on SlideShare, so interesting parties can view them without commiting to the download 🙂 http://bit.ly/gtAIi for anyone interested. This will be some good reading for the summer evenings. Too bad the list of things I’m supposed to read is so long. 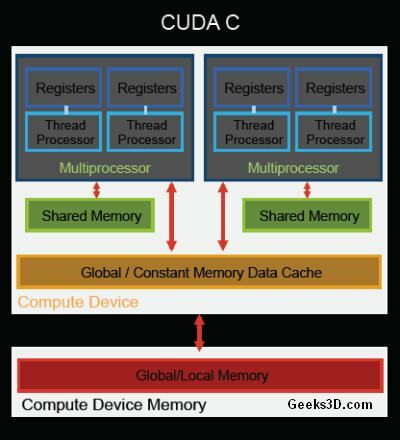 really important inforamtion about CUDA mechanism from Nvidia………….